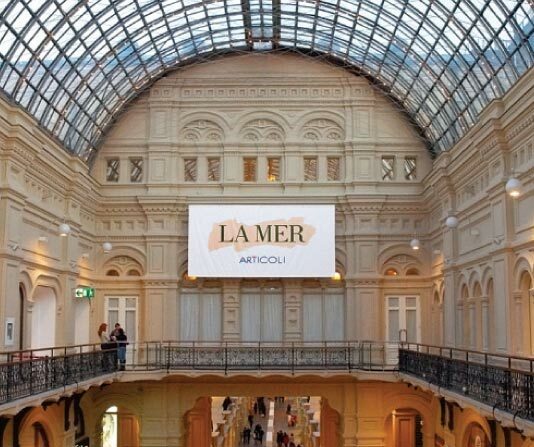 La Mer at the historic GUM shopping mall in Moscow. We are a global company with strong American roots. Thanks to our talent for understanding and responding to the desires of consumers worldwide, our products are sought after around the globe. A number of our brands-including Estée Lauder, Clinique, M·A·C, La Mer, Bobbi Brown, Aveda and Jo Malone-are international icons when it comes to luxury beauty. For almost 50 years, we have recognized the vast growth opportunities in regions outside of the United States, where the luxury beauty business is estimated at nearly $28 billion.